Wireshark is a well-known network traffic monitoring tool. It works with the overwhelming majority of known protocols, and it has both a clear and logical graphical interface based on GTK + and a powerful filter system. Moreover, it is cross-platform, working under Linux, Solaris, FreeBSD, NetBSD, OpenBSD, Mac OS X, and, of course, Windows. 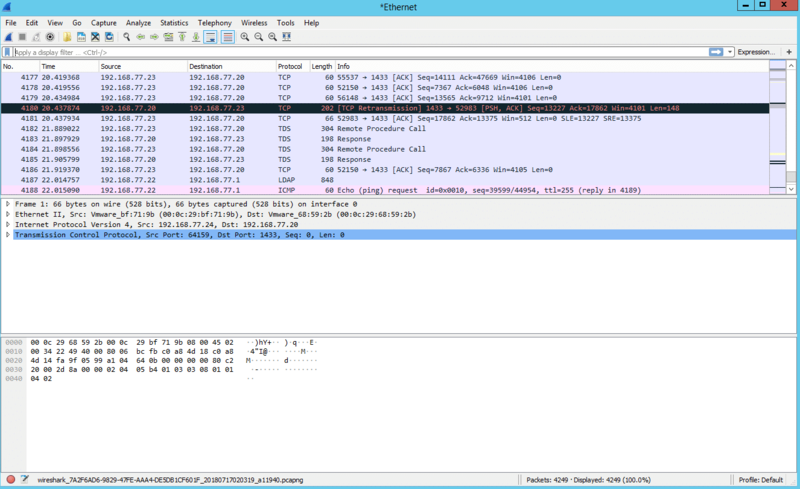 Wireshark reveals the smallest details of network traffic and network protocols. If you have the necessary knowledge, you can effectively troubleshoot and diagnose a variety of problems that arise in the network using Wireshark. 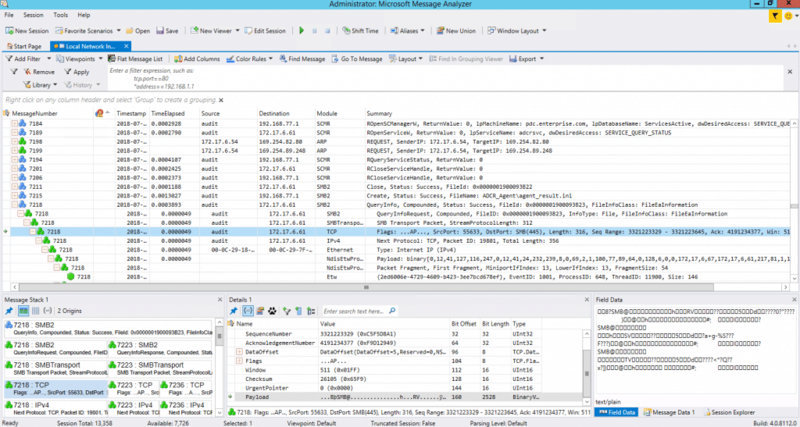 It’s worth mentioning a less popular alternative to Wireshark — Microsoft’s Message Analyzer (MMA). Message Analyzer can also capture, display and analyze network traffic, but its killer feature is that in addition to network traces, it also reports on system call traces, so you can correlate what installed applications are doing with what is happening on the network. Message Analyzer also enables you to save and reload captures, aggregate saved captures, and analyze data from trace files. Capture network traffic for security review. You can capture and save all the network traffic on a network segment so you can analyze it to identify potentially malicious packets. Troubleshooting application issues. Some applications, such as Skype, use a variety of ports and protocols to provide different communication services. If server application cannot communicate with clients, Message Analyzer can capture the communication attempts and potentially identify the issue that is blocking them. Troubleshooting network and firewall configuration You can use Message Analyzer to capture the communication between network hosts. If a network host does not receive an anticipated response, you can determine where the communication is failing and potentially pinpoint the network or firewall configuration that is preventing the response. Clonezilla is free, open-source tool designed to clone disks and individual hard disk partitions, as well as facilitate system backup and disaster recovery. There are two types of Clonezilla available: Clonezilla live (for single machine backup and restore) and Clonezilla SE (the server edition for larger deployments). Clonezilla is a very fast backup and cloning application. After LiveCD boot up, you simply hit ENTER a few times and it starts backing up partitions or an entire HDD to another HDD, which can be an external USB drive. Clonezilla supports the following file systems: FAT, NTFS, ext2, ext3, ext4, reiserfs, reiser4, XFS, JFS, JFS, VMFS and HFS +. Clonezilla is awesome for one-time reservation operations. However, it does not distinguish software RAID; it breaks it into separate devices. Clonezilla SE helps out, for example, when dozens of PCs of the same type have no OS. You can install the OS and other required software on the first PC, take a snapshot, and then deploy the snapshot to the other PCs across on the network. In addition, Clonezilla SE can back up PCs over the network at night or any time you want. The PowerShell console is an interactive environment built on the .NET Framework that enables you to run various commands in real time. It is designed specifically for system administrators and power-users who need to automate the administration of operating systems (Linux, macOS, Unix and Windows) and the processes related to the apps that run on those operating systems. In addition you can run cmd.exe commands in PowerShell environment. 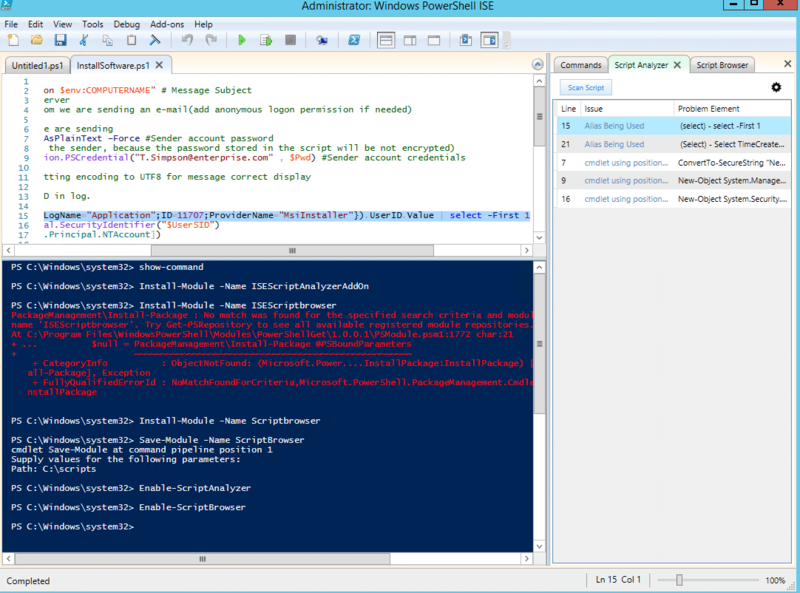 The PowerShell ISE looks and functions the same as the cmd.exe. All your frequently used utilities, such as ping, ipconfig and nslookup, will work exactly as you expect. 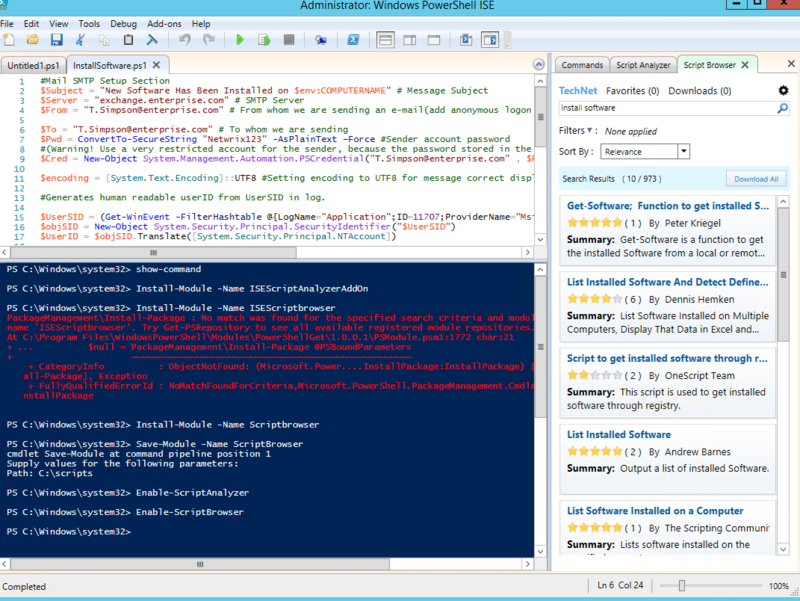 The PowerShell ISE offers some very useful add-ons. One is Script Browser. Suppose you want to do something in PowerShell and you know what result you need, but you don’t know how to achieve it. Moreover, you think it’s likely that someone else has already encountered a similar problem and written a great script. In such situations, of course, you’d go to TechNet Script Center. However, finding the right script can be a long and tedious process. Wouldn’t it be great to have a tool that can understand what you need and automatically look for the appropriate script? Well, the Script Browser add-on will enable you to easily find scripts you need on TechNet. Another great add-on is Script Analyzer; it will automatically analyze your scripts and suggest changes that will improve their effectiveness. 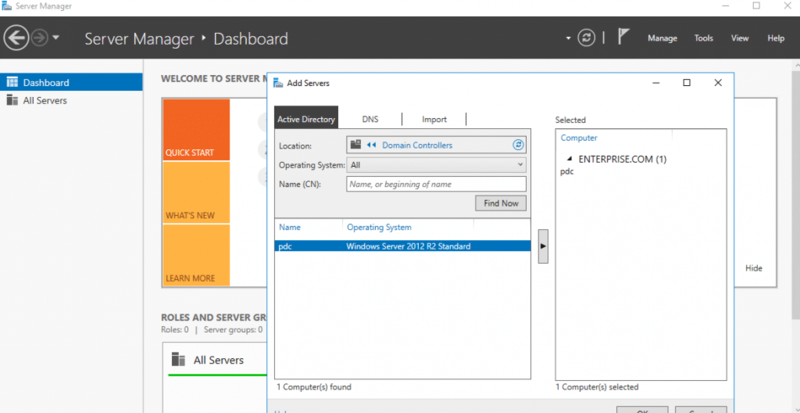 Basically, with RSAT you have all Windows Server administration tools on your workstation, so you don’t need to RDP into your servers at all. That makes your Windows Server management more secure. 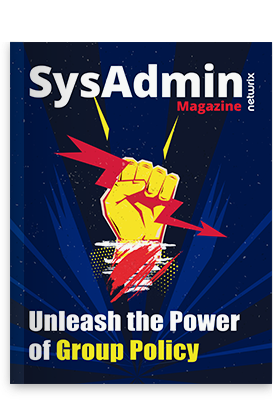 Installing Sysmon on a server or other computer in a Windows environment will increase the number of events written to the event log, which can have its downsides. However, having a more detailed event log makes it much easier to tell what happened on a specific computer, which can be especially useful for investigating a suspected security breach. AccessChk is also useful for checking whether the security settings on files and directories are set properly. Many famous breaches have occurred when trusted insiders gained access to files on file shares where permissions were not set correctly. 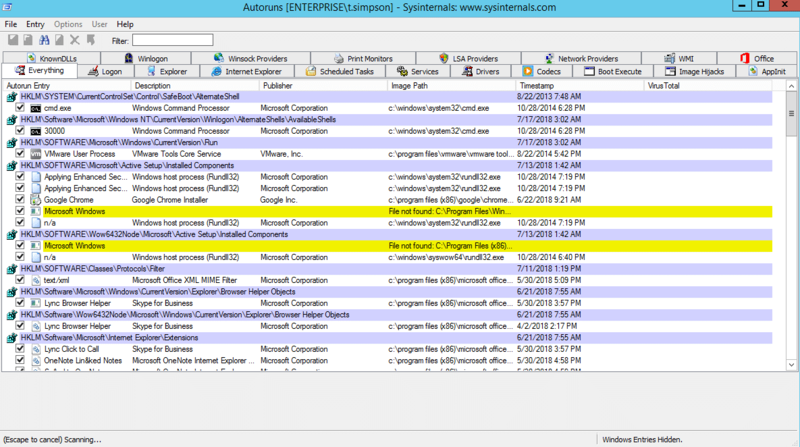 You can use Autoruns to determine which applications are configured to start automatically when a computer boots up or a user logs on. The tool lists all applications that are configured to start from the Startup folder, as well as from the Run, RunOnce, and other keys in the computer’s registry. Autoruns also provides information about File Explorer shell extensions, toolbars that have been installed, browser helper objects, auto-start services and Winlogon notifications. 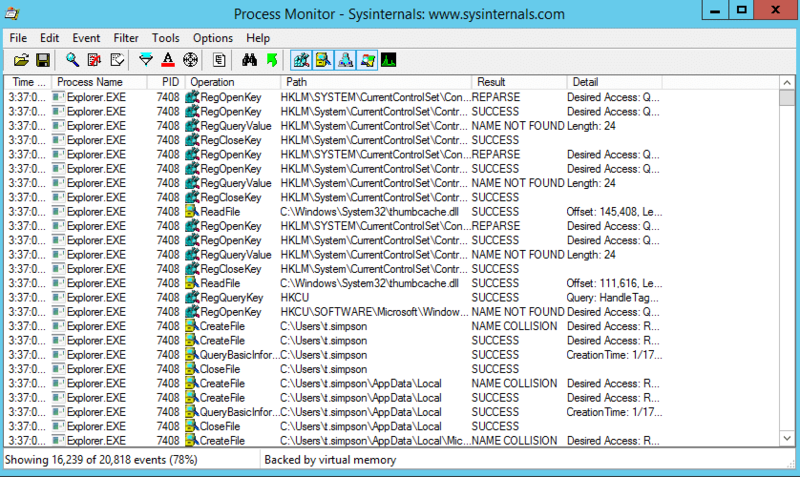 The Process Explorer tool enables you to view the files and directories that a specific process has opened. It also provides information about CPU performance, memory utilization and process digital signatures. 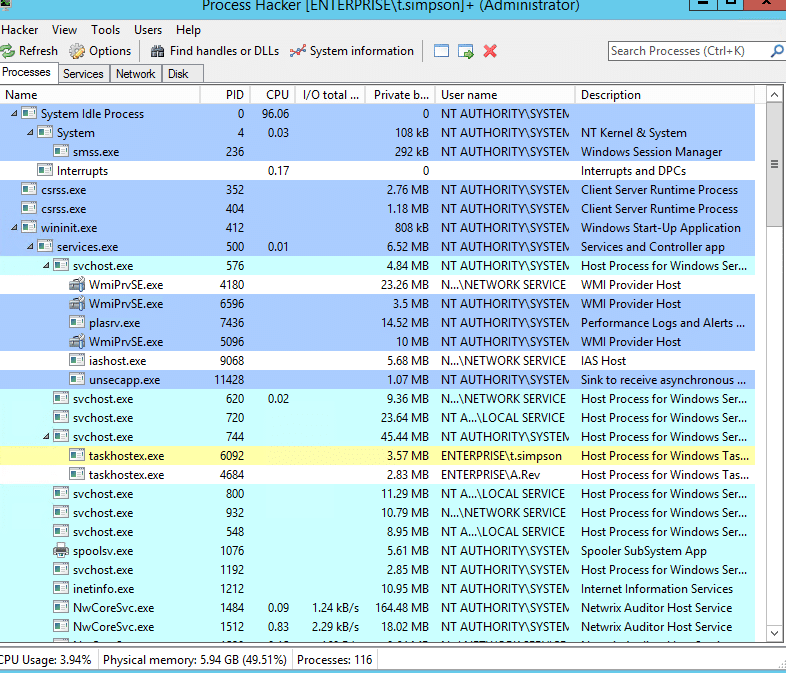 You can also use Process Explorer to determine which security account launched a process, when the process was launched, and whether the process is communicating with external hosts over the network. 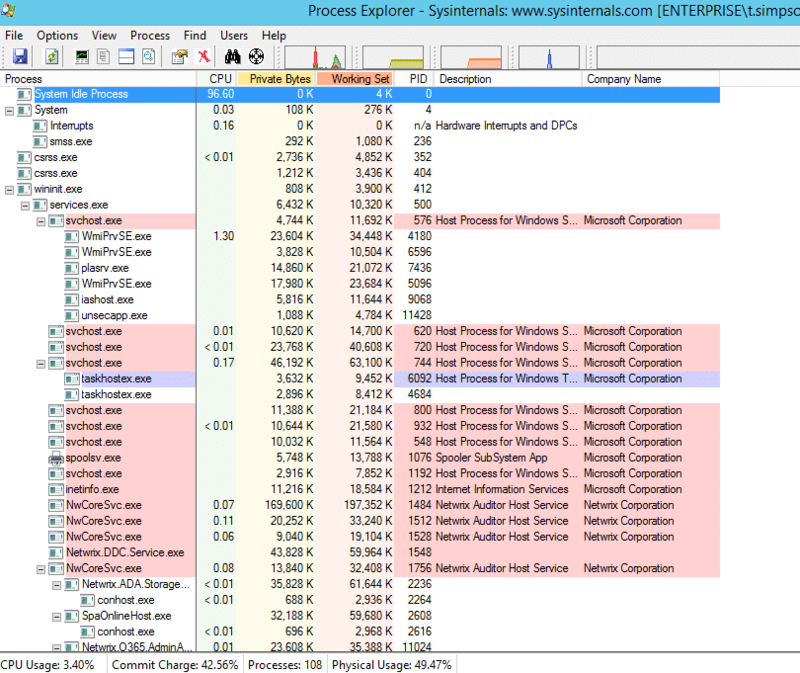 Process Explorer works as a Task Manager replacement. It enables you not only to view resource consumption information about a specific process, including memory usage, handles, objects and threads, but also to suspend or kill a process. You can also use VirusTotal integration to check whether a specific process is infected by malware. Process Monitor provides systems administrators with real-time information about file systems, the registry, processes and thread activity. You also can configure Process Monitor to capture and log data about activity rather than just providing a real-time display. 7-Zip is a file archiver with high data compression and speed. An open-source tool written in C and C ++, it has a small size and supports several compression algorithms. It also supports a variety of common data formats (zip, rar, Gzip, bzip2, xz, tar and WIM), as well as the proprietary 7z format with a highly efficient LZMA compression algorithm. The program can be managed from a command-line interface using the command “p7zip”, or through a graphical user interface, that features shell integration. It can encrypt zip archives with AES 256-bit, but it does not offer filename encryption in zip archives as it is in 7z ones. It can also open .exe and .iso files as archives. 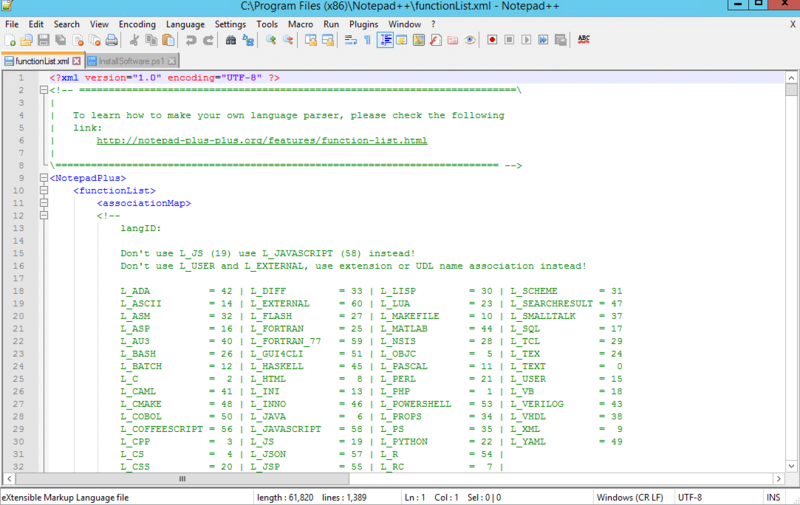 Notepad ++ is one of the best text editors ever. It is great for working with code. It has a medium dependent interface, custom highlighting of code syntax, collapsible blocks, and support for regular expressions in searches. But the best thing is that it has a really fast response time when opening large files. Therefore, it is very handy when sysadmins need to investigate huge log files. 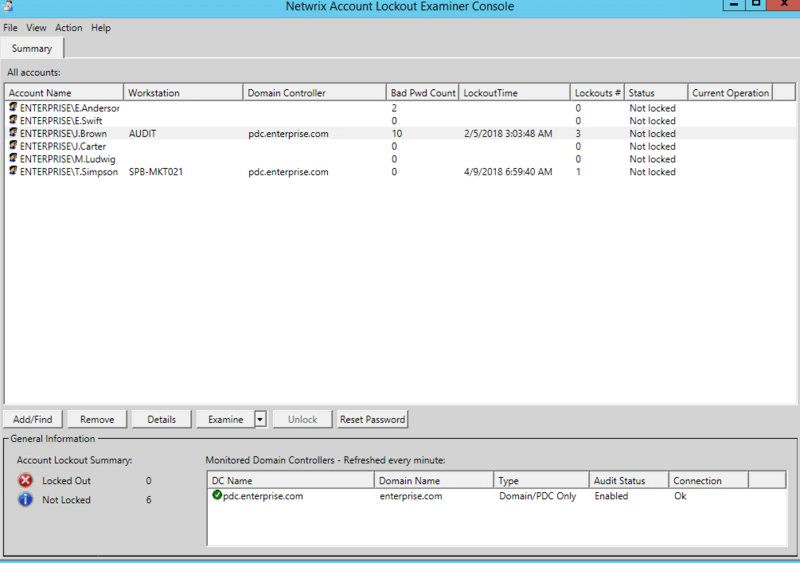 Netwrix Account Lockout Examiner is a freeware tool that notifies IT administrators about AD account lockouts and helps them identify the root cause so they can quickly restore normal operations. Specifically, when an account lockout happens, helpdesk staff receive an email alert with a link to the details. You can also choose to be alerted only when specified accounts are locked out. The tool helps them find the root cause of the lockout, such as improperly mapped network drives, services or scheduled tasks running under stale credentials, or disconnected remote desktop sessions. They can to quickly unlock a user account through a convenient web-based console or even via an email sent from their mobile device. In particular, business-critical applications often use service accounts. The tool can alert administrators immediately if a service account gets locked, so they can minimize the impact on the business. One awesome thing in PH is notifications about start, stop and installation of services and drivers. When a piece of software is installed, you are notified about which services it starts, what drivers it installs and what process runs; there is no need to go into Services or Device Manager and click “Refresh”. The System Information window is very similar to Process Explorer, but while PE breaks information into tabs, PH enables you to open tabs by clicking on the diagrams in the main window. PH also shows a little more information (processor name, total physical memory, etc.). PH’s main window uses coloring to show what type of process is currently running. PH supports keywords to search for certain types of processes. The main window of PH includes the two most useful tabs, “Network” and “Disk”, which show the overall network and disk activity of the processes. PH is an extremely convenient tool for working with services and drivers. On the Services tab of the main window, you can view the list of processes and drivers and their status, and you can also stop, start or delete them, as well as view and change their properties. These features make Process Hacker one of the best free tools for any sysadmin or programmer. PuTTY is a great terminal emulator that’s extremely lightweight and fast. It supports the SSH, SCP and rlogin protocols; multiple operating systems, including both Windows and Linux; and many variations on the secure remote terminal. PuTTY provides user control over the SSH encryption key and protocol version, as well as alternate ciphers such as 3DES, Arcfour, Blowfish, DES, and public-key authentication. The network communication layer supports IPv6. PuTTY comes bundled with the command-line SCP and SFTP clients pscp and psftp, as well as plink, a command-line connection tool used for non-interactive sessions. All in all, PuTTy is the best tool for configuring routers switches and servers remotely. Systems Administrator Salary in 2018: How Much Can You Earn?